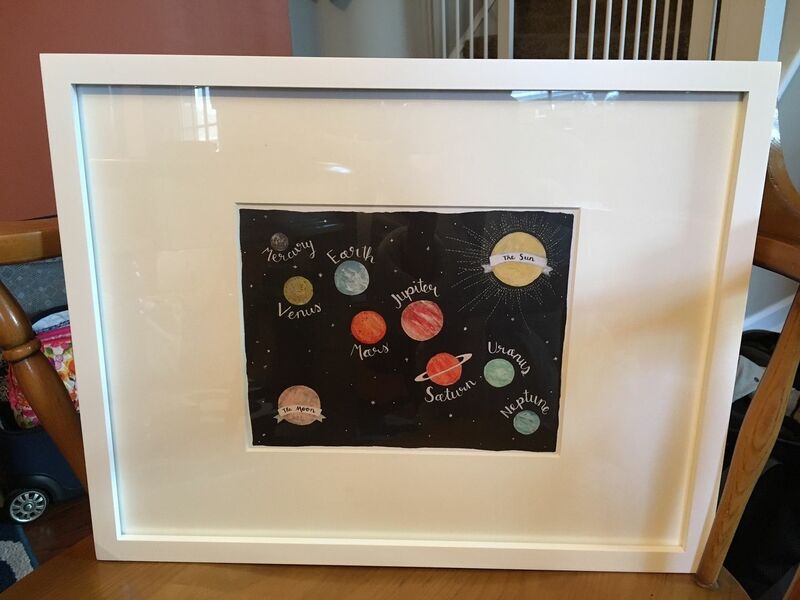 With an effortless modern style, Lucy Darling offers a high-quality Solar System art print designed to help celebrate the darling moments of a baby's life. "Love it! Happy with purchase. THANKS!" Tierney J. Reviewed by Tierney J.
Katlyn M. Reviewed by Katlyn M.
I can't give less than five stars because I saw the photo before I purchased it, but I didn't notice that Pluto wasn't on it! Poor guy always getting left out. I would like a print that is a little more scientifically correct. Like the sun, moon, and planets to scale with each other, proper alignment, and the earths moon next to the earth. I'll have to explain to my kids when they're older that the moon in the print is just the earths moon and that the other planets have different moon situations. But all is well. It's adorable and came packaged very well. Thank you!